An VoIP Gateway (IP Gateway) is a device that is used to connect your VoIP PBX (IP PBX) system to traditional phone circuits such as POTS (analog phone lines) and PRIs (digital phone circuits). 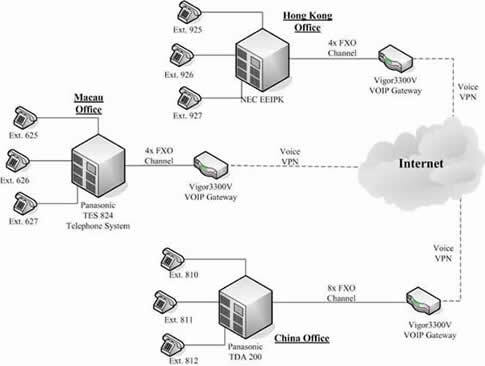 With an IP Gateway, the phone circuit is converted into Voice over IP and transported over an Ethernet data connection to the PBX. This means the gateway device can be just as easily located across the office or across the city, or even across the country.